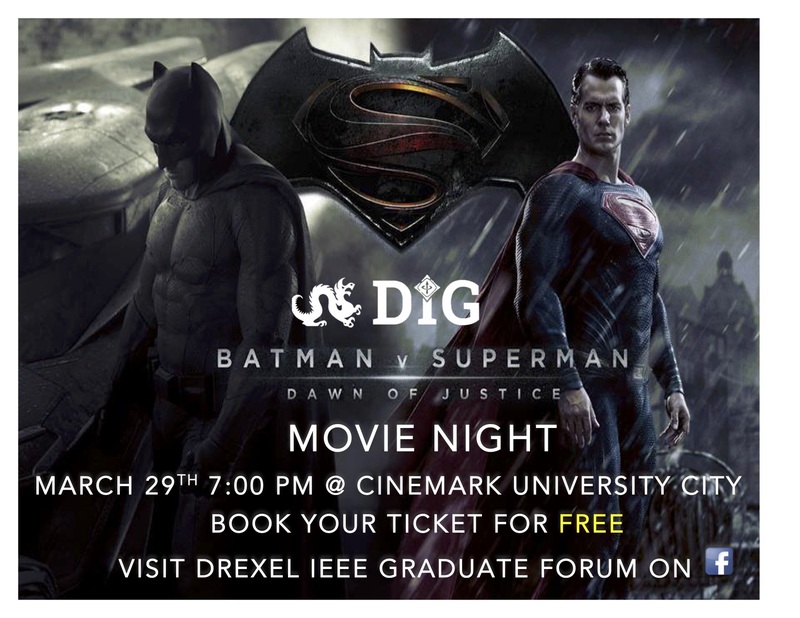 Join us for the Batman Vs Superman Movie Night!! The tickets go on sale on March 26th at 11:00 AM. Book your tickets at the link https://goo.gl/Zk1FK9.